Happy Snow Days everyone. We hope everyone is staying safe and warm through these few days of extreme weather and hazardous travelling conditions. It looks set to impact us for a number of days still, with freezing rain affecting power supplies and transport infrastructure. Here at Cosmic we’ve been putting our flexible, agile and home-based-working policies and practices to full effect for these past two days, meaning that everyone on the staff team has been supported to make good decisions and continue working. Whilst watching the television news coverage this morning it feels like a relief to have developed working practices to this level and take the stress and worry away for the business and the individual staff members too. With a combination of devices and equipment available to support home-working, cloud-based systems for collaboration, and of course (vitally important) great and regular communications across the team. Our use and expertise in digital tools for sharing documents, collaborating on project developments and creative work too has been enhanced no-end! Google Drive, MS365, Trello, Slack, Xero and Messenger has all been working hard here. Everyone has been kept updated with regular advice and support about decisions being taken. 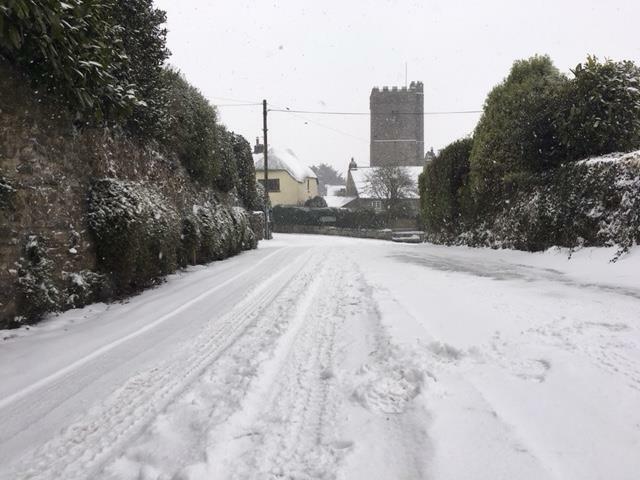 On Wednesday once the forecasts were clear about the extent of potential disruption we had advised staff to prepare for working at home for the rest of the week, inviting them to communicate with clients, delivery partners and suppliers about rescheduling appointments. This meant we all had chance to plan work accordingly – and make the most of time at home to catch up on lots of tasks and development work too. We’re very proud also of the response from the staff team to the situation – and that’s not associated only with their expert use of digital. It’s about trust and good communication. It’s about being able to rely on each other for support even at a distance, and it’s a reflection on a team which has the motivation and commitment to keep our business strong despite some disruptions of the non-digital kind. We wish everyone well in these challenging conditions. Stay safe and warm – and do more digitally!